Backside trails on SilverStar Mountain. Photo courtesy of Destination BC. Maybe it’s a long weekend or some much-needed vacation time, but you’ve found yourself with four spare days on your hands and an urge for adventure pushing you out your front door. Quick: Where’s your compass pointing? North, of course. Whether it’s vast forests, challenging ski runs or an endless supply of mountain snow that you’re after — with all the comforts of home just footsteps away — there’s no place better suited for your time away than British Columbia’s barely-tamed wilderness. Don’t believe it? 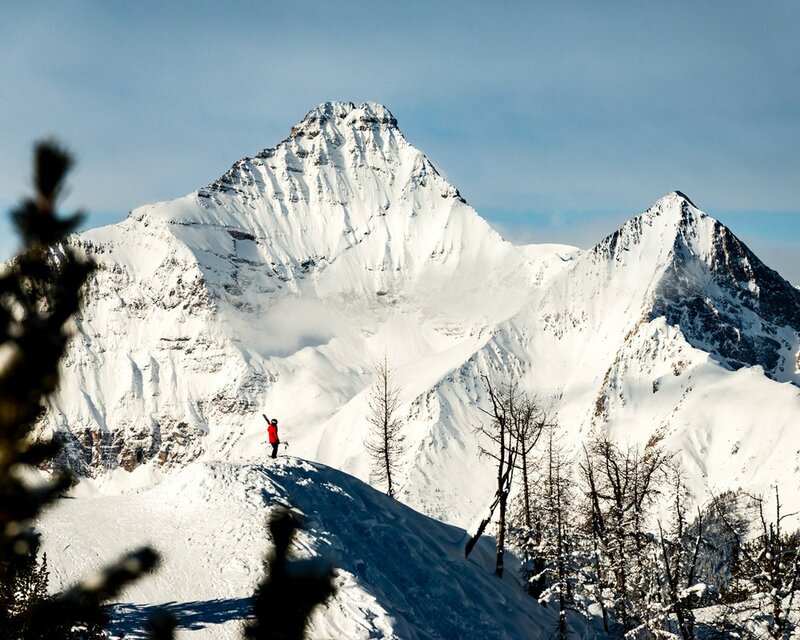 Here’s a four-day itinerary jam-packed with BC winter adventures that are one step wilder. 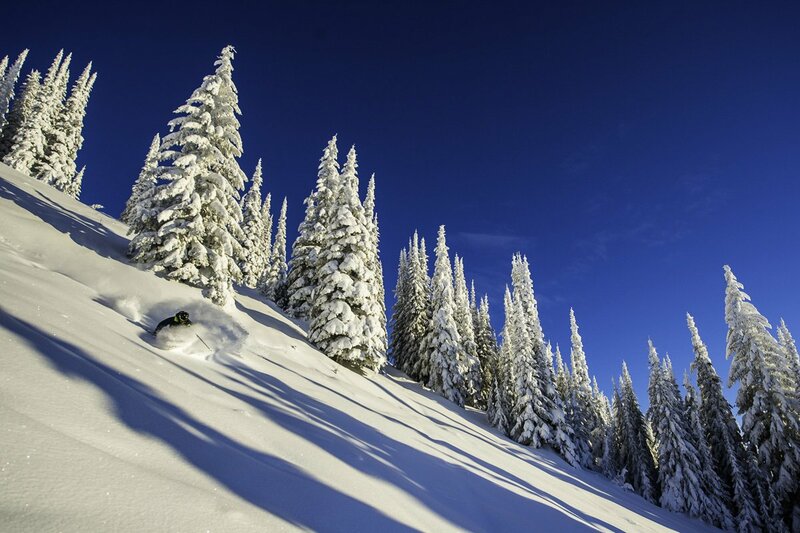 Fresh, natural powder at SilverStar Mountain Resort. Photo courtesy of Destination BC. Kick things off at SilverStar Mountain Resort. There’s no need to worry about snowfall here — BC is famous for having a borderline mythical amount of powder. This idyllic resort, just a short 55-minute drive from the Kelowna International Airport, is uniquely located in the heart of SilverStar Provincial Park. 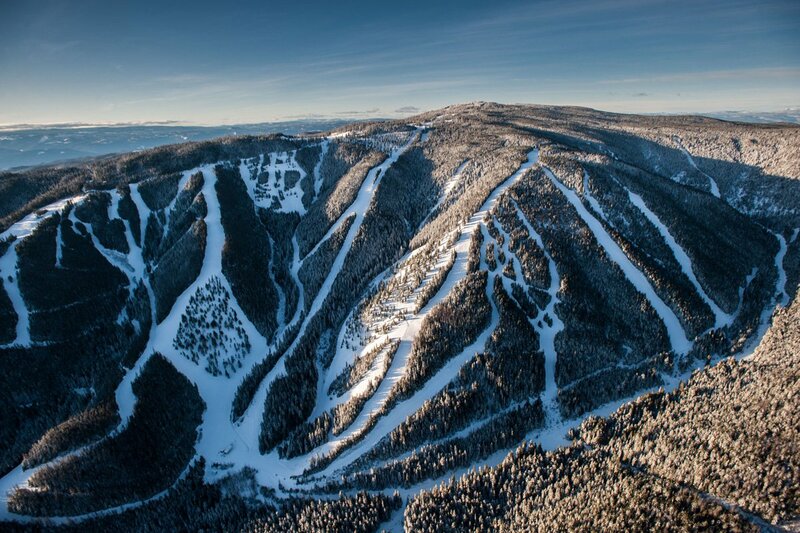 With four mountain faces, 3,200 acres of diverse terrain, and 132 runs, you’d be hard pressed to ski even a fraction of these slopes — all the more reason to make a return trip. Don’t forget to set aside time to explore the mid-mountain village. Stop in at Out of Bounds for comfort food prepared to five-star standards, luxuriate with a soak at Elevate spa, or just chat with the locals; these world-class conditions have a knack for drawing in people every bit as vibrant as the place they call home. Taking in the sights at Panorama Mountain Resort. Photo by J Bartlett, courtesy of Destination BC. Some people head to the mountains for the natural splendor, while others set out strictly for the adrenaline of carving down a perfect run. Good thing that Panorama Mountain Resort — which is roughly a five-and-a-half-hour drive away from SilverStar — has more than enough variety for whichever camp you fall into. Panorama’s trail system offers something for everyone. No matter your abilities, you’ll find comfortable options to take you from mountain peak to cozy lodge. And with slopes as ample as these, you won’t have any trouble finding an empty run to cruise down and enjoy the quiet solitude of nature. Take a moment to gaze at the scenery, too. This aptly-named resort offers a full 360-degree view of the surrounding landscape — including the towering Purcell and Rocky Mountain peaks — free of cities or towns. For those seeking a challenge, the Taynton Bowl offers 750 acres of ex-heli-skiing terrain for high-impact skiing and snowboarding. You might want to leave the rookies on gentler slopes for this one, because these are some of the most challenging runs around — hand-crafted to get even seasoned vets wide-eyed in anticipation. A newly unveiled passenger snowcat can take you to the furthest reaches of this vast bowl so you can access its highest, most untouched terrain. If you want an even closer look at Canada’s wilderness, visit Kootenay National Park. A 30-minute drive from Panorama, this scenic park is full of gasp-inducing views and plenty of roadside stops. This part of Canada is going to give you your best shot at spotting some of the country’s most fascinating creatures, such as bighorn sheep, cougars, bears, and wolves. Soak in the views on a day trip to the spa. Photo by Kari Medig, courtesy of Destination BC. Two days seems like lots of time cruising down mountains, so let’s take a day away from the hill to adventure off-resort. Even the most athletic among us are prone to aches and pains, so swing by Fairmont Hot Springs Resort for the relaxation you’re craving. Don’t worry: It’s less than an hour outside of Panorama and on the way to your last destination. 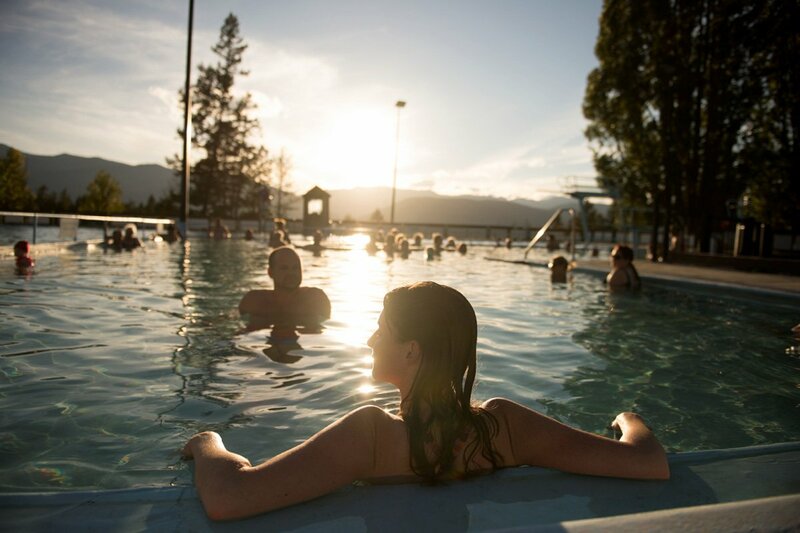 The heated, all-natural, and mineral-rich spring water provided in Fairmont Hot Springs comes straight from its mountain source, so pull your swimsuit on and breathe in a lungful of steam. Plus, Fairmont Hot Springs is chock-full of great dining options as well. Dine at an elevation of 4,000 feet at Desperados while taking in an unparalleled view of the Rockies. You’ve earned a break. Close out your four-day retreat from the ordinary at Kimberley Alpine Resort, which is just a quick hour-long drive away from Fairmont Hot Springs. Home to the Black Forest Glades, these peaks proudly boast more than enough high-quality runs to keep chairlift lines small and skiers precisely where they want to be: going downhill. And don’t worry about losing track of time: You can transition straight onto Western Canada’s longest illuminated slope once the sun goes down. If you’ve found your eyes wandering away from the slopes, though, there are countless ways to take in the glorious wilderness that surrounds Kimberley. 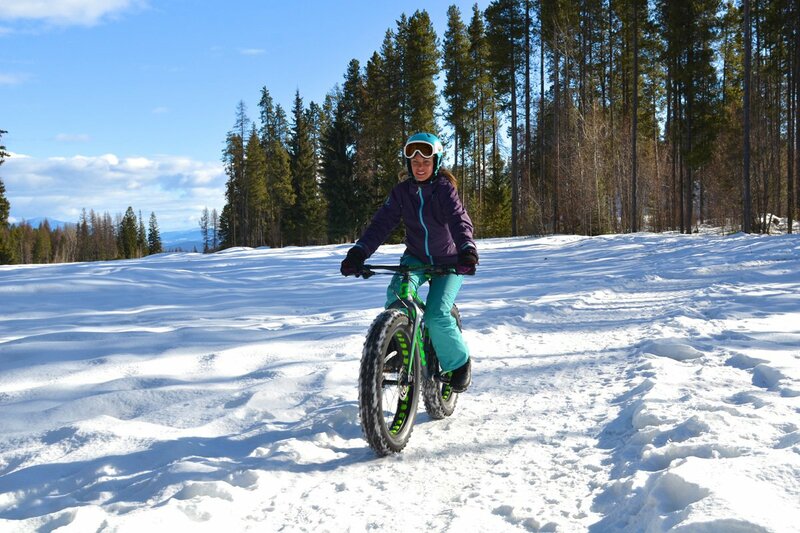 Between fat biking across winter trails and snowshoe tours to the top of North Star Mountain — complete with twilight fondue at the peak — you’re bound to find something for every taste. Speaking of taste, why not cap things off with a pint at Stemwinder Bar? After a trip like this, it’ll taste extra refreshing. Whether you’re looking for the highest peaks to glide down or a panoramic view that no photo could do justice, British Columbia feels like the kind of place where you’re always just around the corner from a new and unexpected wonder. Take a chance and explore a part of the world that’s vast, untamed, and packed full of adrenaline-pumping challenges.